This January we are going to do the very counter-cultural, very ‘crazy' thing, and embrace God’s call to 'Sabbath Rest'. Why? Because keeping the sabbath is an incredibly important obligation and opportunity - it’s a command and a gift found throughout scripture from Genesis to Revelation. 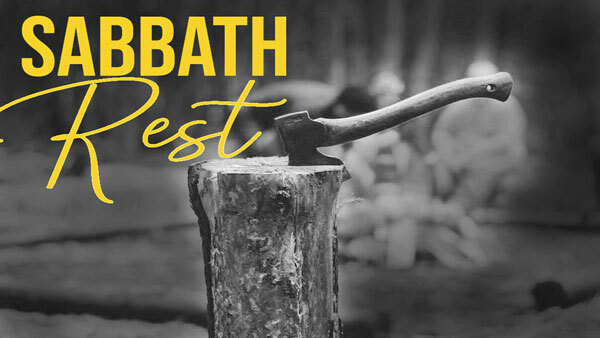 For the next four weeks we are looking at why God calls us to the sabbath and each week we are going to offer a clear way to embrace God’s gift of sabbath rest in order to remember our identity is in him rather than in our busyness and accomplishments. God’s version of working is very different from the worlds, God’s version of ceasing is very different from the worlds, God’s version of resting is very different from the worlds, and God’s version of true delighting is very different from the worlds. May this month in 'Sabbath Rest' remind us that God is calling us to live all of life in relationship with Him! (New Years 2019) Matt and Tim close out 2018 and open 2019 before the Bushfields leave on their Sabbatical.